All the Grillstream Gourmet range of gas barbecues feature such design touches as stylish shaped side shelves, monochrome finishes, LED control knobs,and an overall sleek and ergonomic design which all contribute to the all round fantasic looks of the grills. The Grillstream Gourmet range also offer larger cooking areas, upgraded and re-designed frames for additional, improved stability, meaning that cabinet doors will be flush fitting, plus the unique 揻lare free� Grillstream double grill system that can be found in all Grillstream grills. Grillstream barbecues have a double grill system that aims to eliminate flare ups, reduce the amount of fat in the food that you prepare, and enhance the flavour of your grilled food. Their patented technology has a small gap between the two grills that give these British manufactured barbecues their versatility and performance. Grillstream offers a selection of 2 burner, 4 burner, and 6 burner gas barbecues, complete with handy features like sturdy side shelves that enhance the whole barbecuing experience. Re-designed frames in the latest models have enhanced the stability and durability of the Grillstream BBQs, offering longer lasting and more reliable grills. Most of the barbecues come with either a 5-year or 10-year guarantee, too, so you can enjoy total peace of mind that you have a good quality and long-lasting grill. At BBQWorld, we sell Grillstream gas barbecues as well as the accessories and other items that help further enhance your Grillstream experience. We also have barbecues and grills from other major manufacturers like Outback and Weber. Browse our website, and if you place an order over � today, we will provide free delivery to your mainland UK address. Alternatively, you can call us with any questions or call in to Dawson's Department Store to see the full collection of homeware and gardenware items. Grillstream is a part of the Leisuregrow group in the UK. Grillstream originally appeared on the Dragon's Den TV show but was unsuccessful in finding funding at the time, despite interest from the Dragons. Leisuregrow saw the product and licensed the system in 2011. The Grillstream technology can be licensed and used by other companies, and Grillstream themselves work with partner companies to help incorporate their patented system. However, if you want the original grills, that include the patented Grillstream system that prevents fat and grease from landing on the coals or burners, we have a wide variety of original barbecues from the brand themselves. The 2-burner gas Grillstream barbecue might be the entry level model, in terms of its size and the number of burners, but that doesn't mean that it comes unequipped. A recent redesign means that you can enjoy a more rugged and robust design, backlit LED control knobs that enable you to cook even when the light has dimmed, and a side burner that means you can cook casseroles, sauces, and other dishes that require the use of a pan to cook. As with all of the models, the 2-burner gas barbecue also benefits from the patented Grillstream system that enables the home chef to cook both the inside and outside of the meat just right. No more raw meat and charred outside. The Grillstream grill has 2 separate grill sections, one sitting directly on top of the other. The bottom grill effectively catches the oil and fat from the food on the top grill. This prevents the inconvenient flare-ups that many of us experience when we are cooking on a barbecue and it means that the whole thing is easier to clean and maintain too. The 4 burner Grillstream barbecue also has the side burner, so you can cook all of your food on the barbecue, without having to prepare half the dishes inside, while cooking meat outdoors. Additional features on the barbecue include a convenient bottle opener, so you'll never be left looking for a way to open your next bottle. Grillstream also manufactures a gourmet 4 burner barbecue. This model incorporates extra features, like great looking and extremely convenient storage cupboards. You can use the storage cupboards for housing your grilling tools and accessories, or you can even place your unprepared food away from the glaring sun while you wait to prepare it. The side shelves are better contoured than on the standard version, and the gourmet grill versions have more cooking space and the frames have been redesigned so that they are stronger and sturdier, offering even more functionality from what is already a great unit. The 6-burner gourmet barbecue is a strong, durable stainless-steel barbecue. It utilises the dual grill Grillstream that keeps burning fat away from the cooking medium and offers a side burner for convenient cooking options. The Gastro Modular System is another convenient addition to the barbecue model. The circular, removable grill plate is interchangeable. As well as a standard griddle, you can replace this with a pizza stone, which is also included with your purchase. There is also a smoker box built into the design, allowing for the addition of smoker chips that give your cooking a unique and traditional, smoked barbecue flavour. The steak shelf is a side burner with a difference. You can heat and cook food in pans on the burner, or you can cook meat, like steaks, directly on the shelf. This makes it possible to sear and prepare great tasting steak every time. A lot of barbecues, whether they are gas or charcoal, are limited in the preparation space that they offer. This means that you still must complete a lot of the preparation work in the kitchen, or juggle everything on the garden table and the top of the barbecue. When you do get side tables or preparation areas on a BBQ, they can be flimsy and even potentially dangerous. The Grillstream models all feature convenient folding side tables. These allow you to prepare your food ready for cooking or give you somewhere to keep your cooked food while you get the rest of the meal ready. Like the rest of the Grillstream barbecue design, the side tables are not only efficient and convenient, but are made to last. 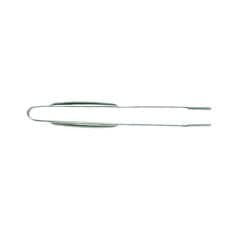 They are durable and tough, so you really can prepare your food without the worry of them folding back or becoming damaged. Caring for your barbecue enables you to enjoy a longer life from your barbecue. While Grillstream models can be left out, you can enhance the protection that they enjoy with the use of a barbecue cover. 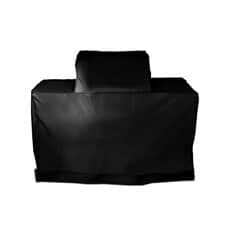 These covers are tailored to fit the model of barbecue that you own. 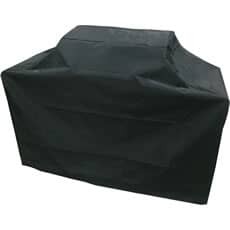 The covers sit snugly, without being too tight, and they protect your grill from the elements, as well as from dirt and debris, and anything else that might cause damage to your grill. The Grillstream barbecue is a well-appointed barbecue straight out of the box. It includes everything you need to enjoy a convenient barbecue experience. 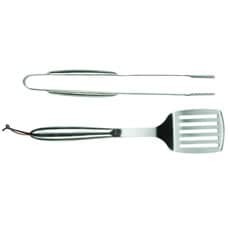 However, you can further enhance your use of the Grillstream with a selection of accessories and extra items. 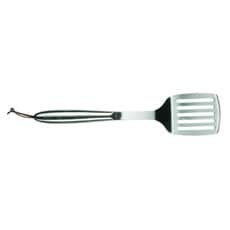 Gourmet tongs and spatulas are designed for use on outdoor grills. They are sturdier and more heat resistant than a lot of kitchen utensils. The digital thermometer is a probe thermometer that can be used to test the temperature of cooking areas or for testing the temperature of meat and other dishes that you're cooking. Using a digital thermometer, there is no need to burn dishes just to make sure that you reach the desired temperature. It also means that you can avoid serving food that hasn't been cooked to the proper temperature. Despite being an inexpensive accessory, the digital thermometer really will change the way that you cook on the barbecue. 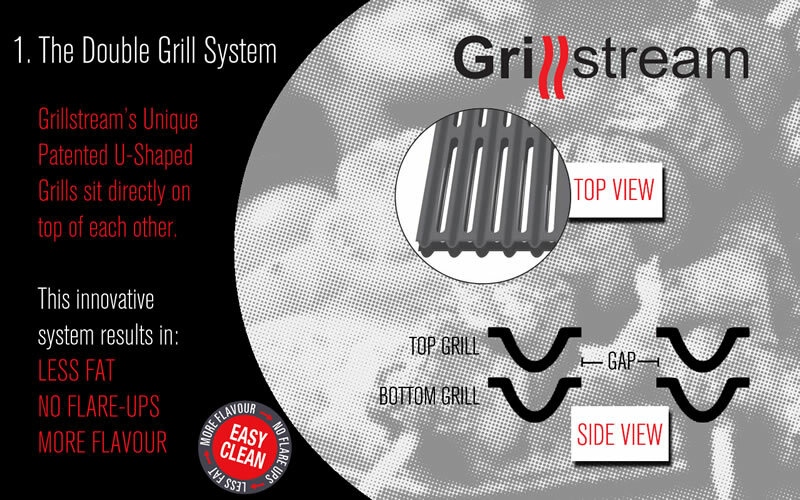 The Grillstream dual grill system is an innovative method of ensuring that you can cook food properly, without serving undercooked or burned meals. It eliminates flare-ups without reducing the flavour. You can also enjoy the benefits of side burners and other great features for your barbecue, and at BBQWorld we stock a great selection of these high-quality barbecues. Enjoy competitive prices and, if you spend more than � on your order, you can have your barbecue and accessories delivered free of charge to your mainland UK address.